MSCA guarantees the armored vehicle for 1 year from delivery in terms of suspension, brakes, etc. 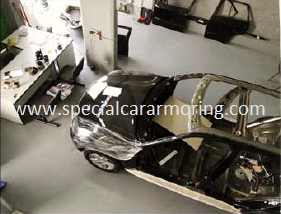 Vehicle's armoring protection can be upgraded as needed in case of an increase in security risk levels. MSCA provides continued follow-up on the vehicle's condition and its performance.